Looks authentic but yet to install. Delivery is fast. I took a while to configure this, but after that, the device is fantastic, the wifi range can even reach my carpark now. item received, fast delivery. hope it last. Item received in very good condition as per description. Delivery was fast. Fast to send out the item. Item help to increase my house WiFi coverage. Easy to set up. Bought 2 wifi extender and delivery was super fast. Received the next day. Tested both and seems to work well. Very easy to setup, but the extender heat up quite fast. My WiFi extender kept blinking orange light . Why is that so ? I cannot connect the extender to my router. Do you have other ways to work around it? I have downloaded the Mi Home App. Sign in, connect to my WiFi, then the app detected the Extender, but when trying to connect the extender to the network, it timeout. What is the difference between local vs export set? Gen 1, Local and export same, SIngapore no official xiaomi wifi extender so all Import from China. Thanks! I try plug into my router but the light keep Blickling. Please read the Manuel in this page. Can it work with DLINK router DIR-865L from Starhub? Please whatsapp 9792-5231 for support! Thanks! Hi, would like to know what time your shop closes? 9-6pm do contact 9109-4808 before come. My desktop needs a external wifi receiver. 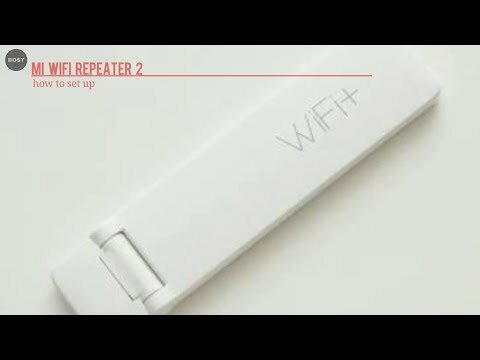 Can I use the xiaomi wifi extender as a wifi receiver? While using it as a receiver, can I still broadcast the wifi signal to my phone? If use as receiver cannot croadcast.